Learn more about the glittering career of this incredible French chef, who sadly passed away today at the age of seventy-three. France is home to more legendary chefs than anywhere else in the world. Escoffier, Soyer, Point – these names are enshrined forever in the culinary hall of fame. In more modern times Joël Robuchon was widely regarded as someone who matched their incredible talent, so to hear of his passing at the age of seventy-three from cancer marks a sad day for chefs and cooks the world over. 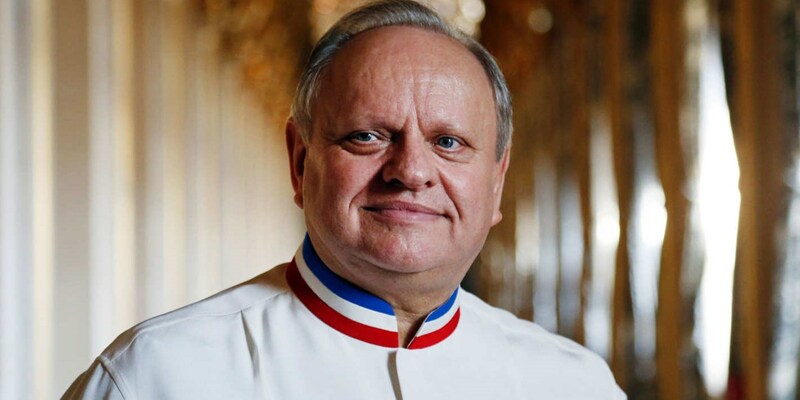 Joël Robuchon was born in Poitiers, France in 1945, and was working in kitchens before he was fifteen years old. He rapidly rose through the ranks of French cooking and when he was forty-four he was named ‘Chef of the Century’ by the French restaurant guide Gault Millau. This was arguably his biggest achievement, but what most people knew him for was his incredible ability to gain Michelin stars across his restaurant empire – in total, Robuchon was awarded thirty-two Michelin stars, making him the most starred chef in history. His restaurants spanned the globe, with the majority in Asia (L’Atelier de Joël Robuchon in Hong Kong and Robuchon au Dôme in Macau both have three stars each). He also has two in France, a three-starred eponymous restaurant in Las Vegas and L’Atelier de Joël Robuchon in London, among many others. Joël Robuchon wasn’t only a fantastic restaurateur; he mentored and trained some of today’s most accomplished and famous chefs, including Gordon Ramsay, Eric Ripert and Michael Caines. His meticulous attention to detail and the way he ran his kitchens (highly disciplined with absolutely no room for error) may have given him a fearsome reputation, but his innate talent and ability to create stunning, flawless examples of French cuisine made him a hero and inspiration for chefs around the world. And his mashed potatoes weren't half bad, either.